This month I’m delighted to have had three paintings accepted for the annual Lizard Spring Art Fair at Trelowarren, which runs until April 28th. The exhibition is an opportunity for local artists to show their work and for collectors to find affordable art to bring life and colour to their walls. I typically don’t love the word ‘affordable’ in conjunction with art, but the fact is some of us don’t have thousands of pounds to spend on art but still love to have it in our homes! And it’s a great opportunity to snap up the work of emerging artists making quality work at an early career price point. 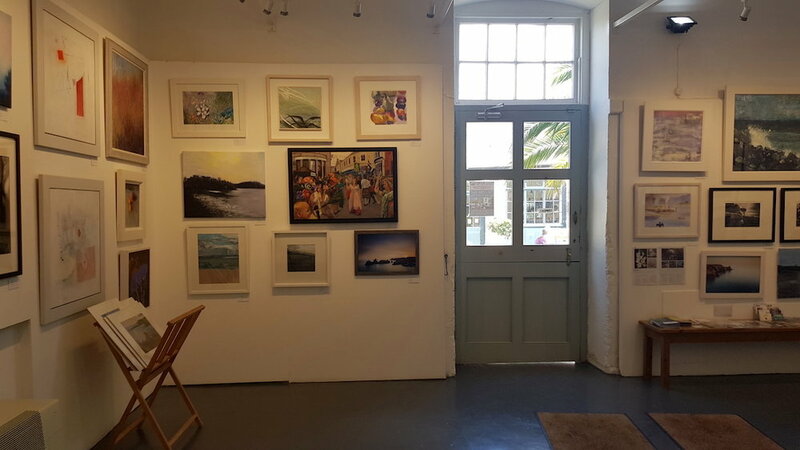 The gallery is in an idyllic location, and well worth a visit. Trelowarren is a privately owned estate brimming with gorgeous walks, two restaurants, an art and a craft gallery, holiday cottages, and the outdoor pool that inspired my current work. The gallery itself is a lovely space, which my photos don’t quite do justice. 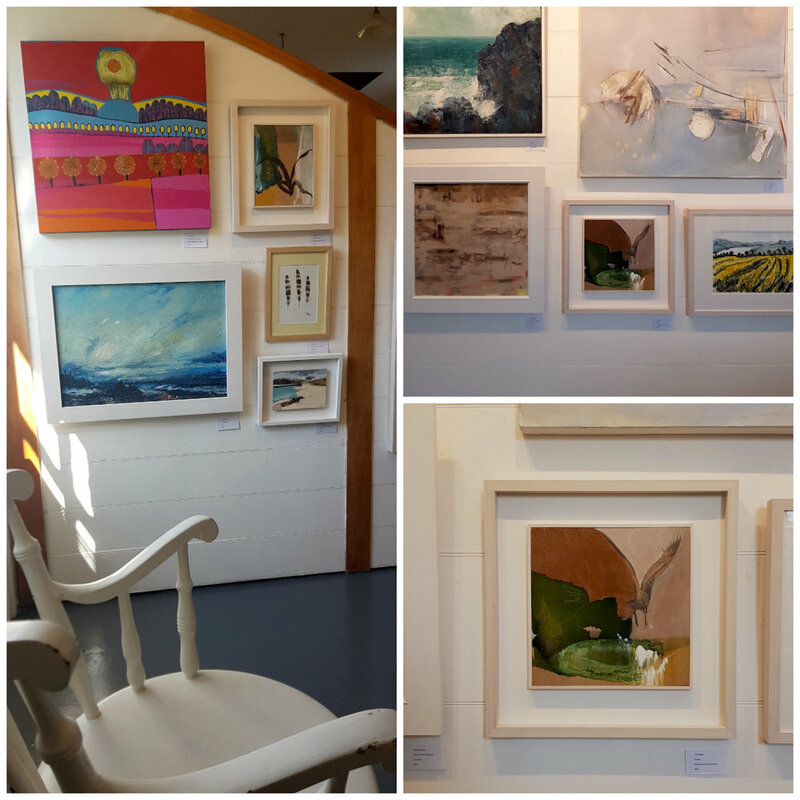 The exhibition is hung salon style, which means a visual feast and lots to choose from! The three paintings I’m showing are below. If you’d like to stay in the loop about my work, please click the button below to sign up. I send Notes from the Studio once or twice a month, depending on how much is going on!